on Netflix. It is a documentary about the Milwaukee Brewers minor league system, and it chronicles one season from Spring in Arizona through the end, showing players moving up, down, getting designated for assignment, and others just managing to stay on the AAA level. Some people could find this boring but I think this gives you a better understanding of what these guys go through, and what they need to do to bust their asses to get here. 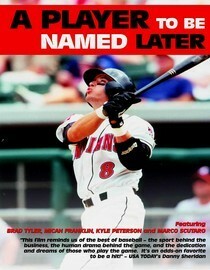 One of the guys that is seen throughout the movie is Marco Scutaro. They pronounce his name "skit-taro" in the movie which makes me question the way everyone says it on tv now. Thanks for the recommendation. I need to check that out. I'm reasonably sure that it's pronounced "Scooter-oh". He was a fixture in Oakland for a decent stretch, and that was how he was announced over the PA at the stadium. If that guy doesn't get it right, I'm sure he'd hear about it.